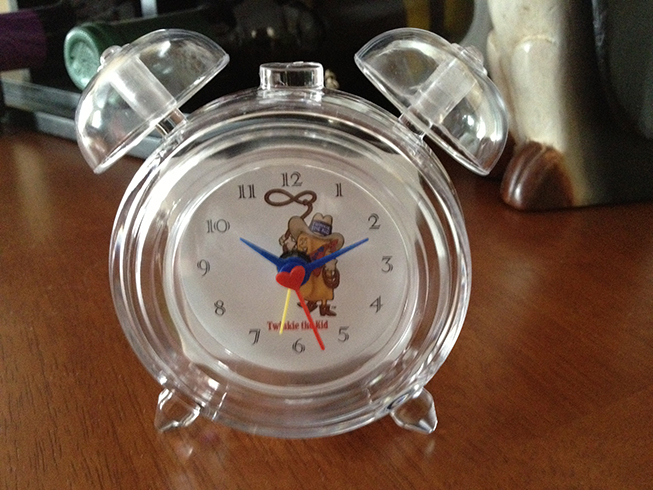 Is time up for Hostess? As most people that have been following the flood of news the last few days, Hostess, makers of Twinkies and Ding Dongs, shut down operations on Friday. While there are current negotiations to revive the company, us fans of the snack cake company are mourning the potential loss of this decades old bakery and their products on store shelves. While Ding Dongs are my all time favorite, I have many years of eating my next favorite – the Cherry Pie. 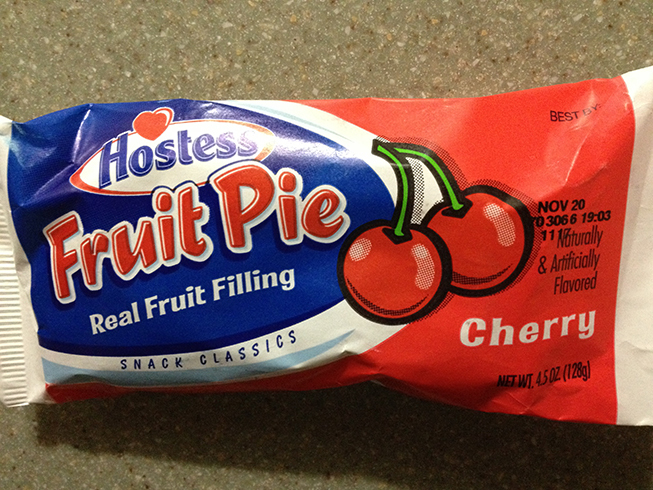 I remember high school mornings getting a Hostess Cherry Pie at the snack bar for 25 cents in the late 70’s. The years in the late 80’s as a 25 year old, newly married and convincing my wife that I needed a bit of junk food and keeping a Cherry Pie or two [and the occasional box of Ding Dongs] in the pantry. And well into my 40’s, I see those Cherry Pies in the endcap at the grocery store and end up placing one in the shopping cart on an impulse. So it is with this last Cherry Pie I had this past weekend where I might be saying goodbye to a long history of a great snack pie. But there’s hope that like Mother’s, Hostess will find a buyer and revive their line of snacks. And with that, here is me having one of the last Hostess Cherry Pies. And now I have that Warrant song stuck in my head! It was in my head while writing this blog post. I have never eaten either of these, I have noticed a lot of posts about the operation going out of business. I am not sure if there is even a place in the UK or Ireland where I could purchase one to try them. I am not sure, either, if Hostess products are available outside the US. eBay may be your only option at this point (everyone’s option for the time being, until they work out a deal to bring the snack goods back). We’re hoping someone buys their Wonderbread division. Love that bread. I would really like to see my Ding Dongs and cherry pies come back someday.